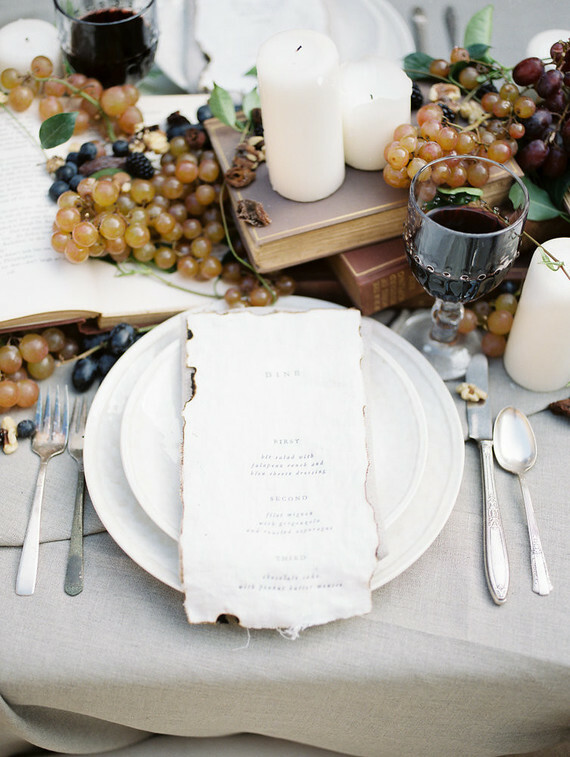 Looking for fall wedding inspiration? We have it for you! 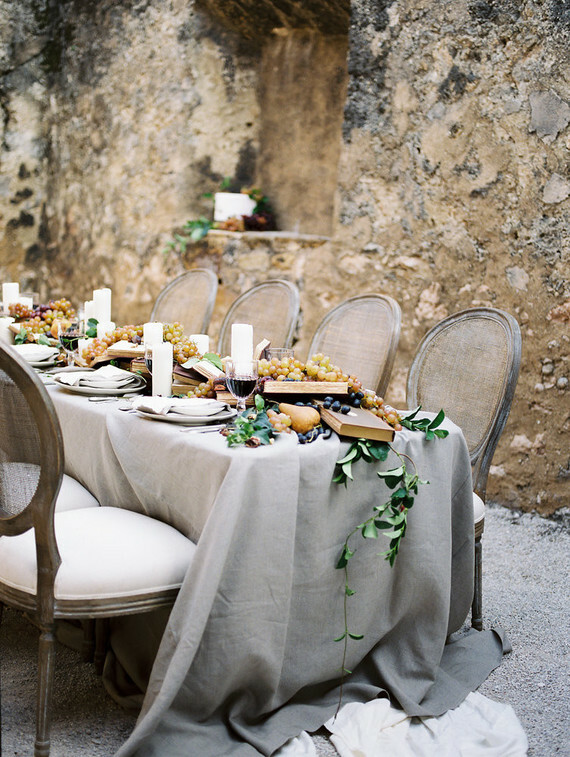 This gorgeous wedding shoot in inspired by Spain in the fall and is called Drunken Feast. 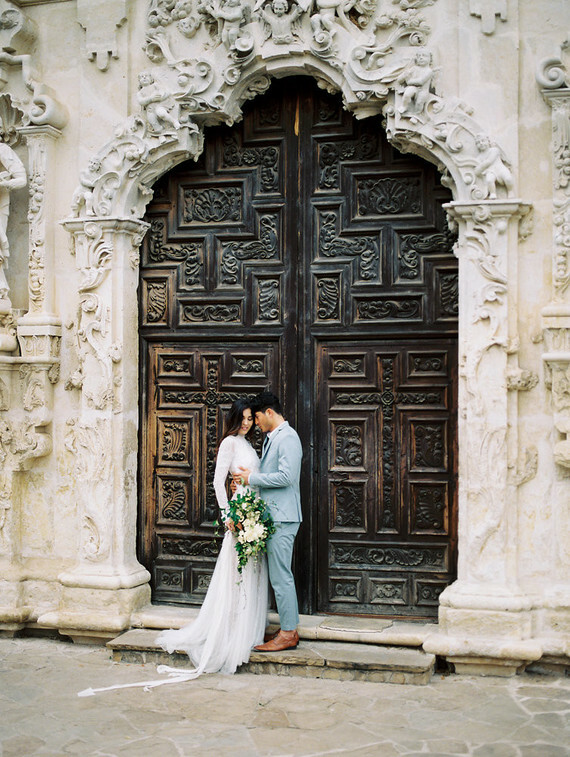 It features a gorgeous backdrop in the middle of San Antonio, Texas at the centuries old Mission San Jose. 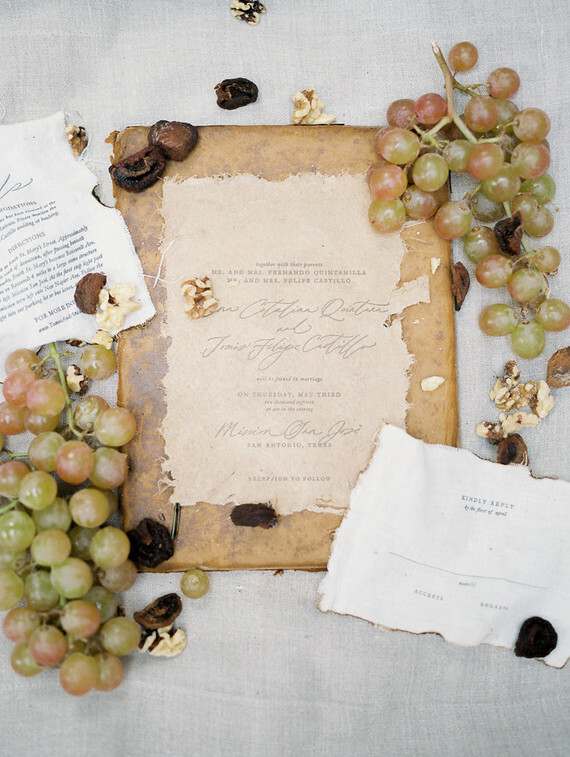 The Mission’s historic walls are the perfect backdrop for the tables topped with a garland of fruits, books, and wine—gorgeous details amongst the other neutral tones of the shoot. 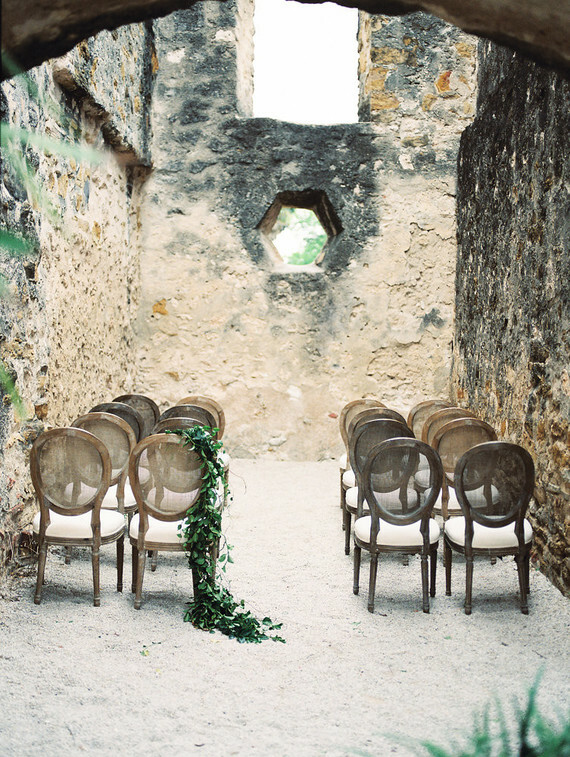 The wedding ceremony space was a historic one with raw stone walls, refined chairs and greenery garlands on some of them. 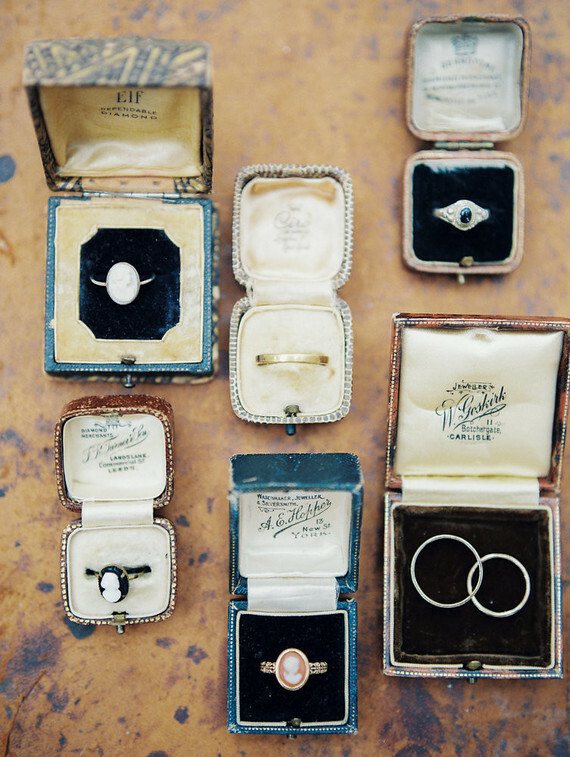 Janna Brown Design styled the scene to have fine art details with a subtle modern twist. The pretty unique table runner was complete with fruit, books, vines, and candles. The wedding stationery was vintage-inspired with torn and uneven edges. Why was the shoot called Drunken Feast? 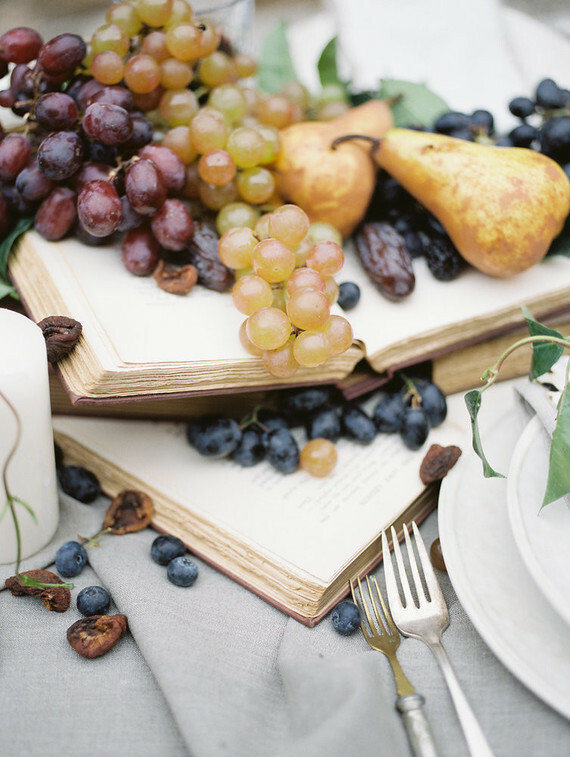 Because there was wine in vintage glasses, grapes and various berries placed on the table. 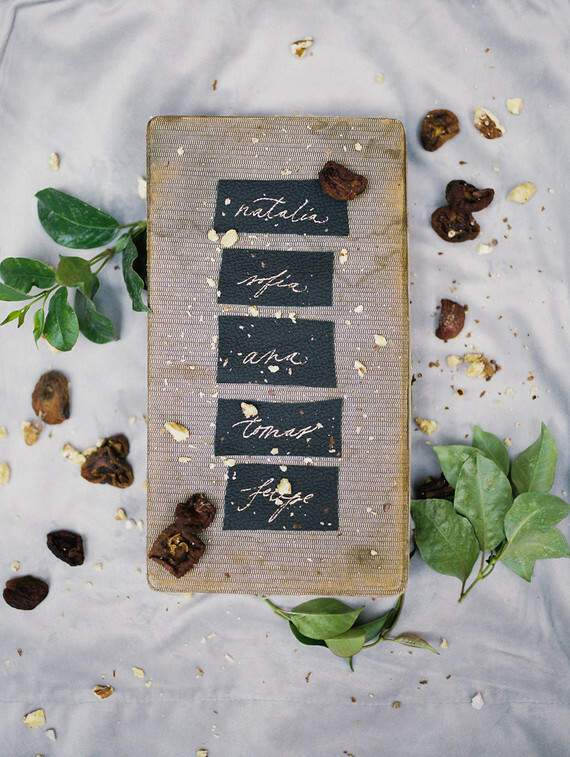 Nuts, grapes, cheeses added a fall feel to the shoot. 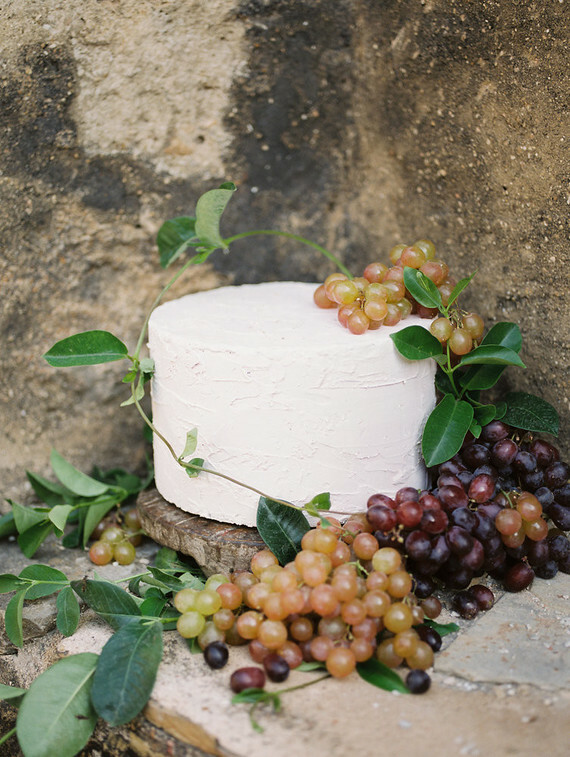 The wedding cake was a white buttercream one and it was decorated with foliage and grapes. 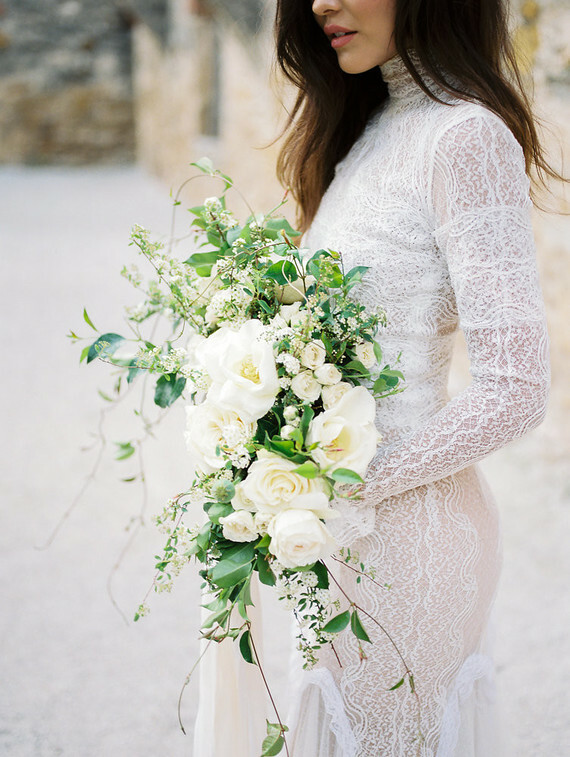 The bride was wearing a gorgeous boho lace sheath wedding gown with a turtleneck – a subtle and tender idea, which is modest at the same time. 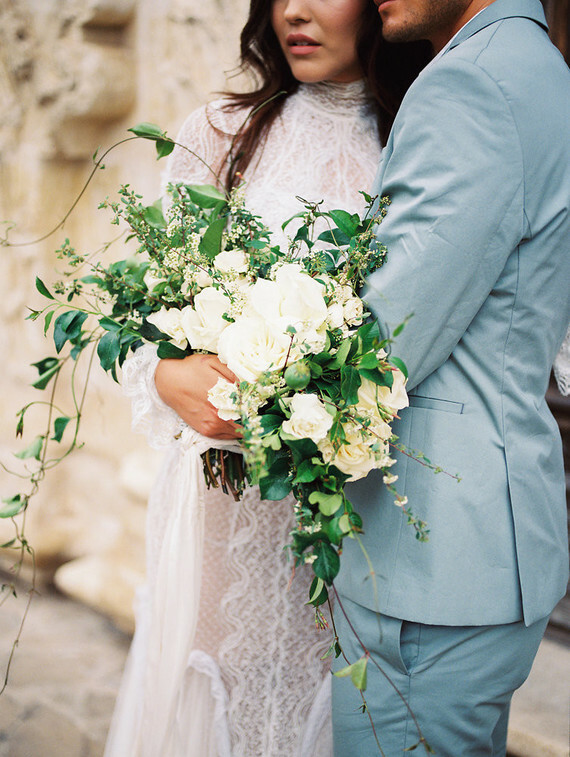 Her bouquet was all about neutrals and greenery. The groom was wearing a powder bloom suit with a black tie. Get inspired by the pics below!